which lie about twenty miles north of the Scottish mainland. The inhabitants must have been keen to stay there ... or perhaps they had no choice. Was this an accidental or planned settlement? they were brought to the island by the victims of the ship wreck. island. There being no trees, their only source of raw materials in plentiful supply was stone. need not venture outside in the harshest of weathers. 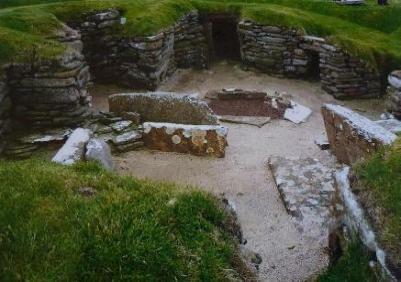 Inside two of the buildings at Skara Brae. Everything was necessarily made of stone. having originated from a highly civilized society. was these people who introduced the arts and sciences to the inhabitants of Britain. by having the furniture positioned in this way. From where did the inhabitants of Skara Brae originate? right-hand side bed in House Seven. therefore originated in Europe. This interpretation is incorrect. Notice how the hieroglyph for the letter "M" is a representation of the three main Pyramids at Giza. 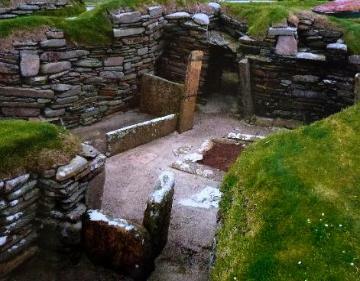 2650BC ... at least 400 years after Skara Brae was founded! Skara Brae came from EGYPT. pictogram denoting the word, by 3100BC. Grooved Ware Pottery is a further indication that Skara Brae was settled by the Ancient Egyptians. esoteric meaning, and a longing for the homeland. the stonework at Skara Brae. rid the deceased of any kind of threat or harm. It was an execration ritual for the protection of the dead. It was also a good way of relieving stress and pent-up emotions! ball which has confounded archaeologists and historians alike. I have coined the name Pyramid Stone or Pyramid Sphere for it. Pyramids in Egypt were built around 2650BC! Pyramid Sphere for this Skara Brae ball. The four central pyramids can also be considered in terms of representing the Four Pillars of Heaven. the Four Cardinal Points of North, South, East and West. from the equator. In this sense the four central pyramids represent a period of one year. circle of nine pyramids could represent the nine planets in orbit around the Sun. of dividing the heavens into equal segments of thirty degrees. Another explanation of the Pyramid Sphere is that in itself it represents the Sun. main purpose was to record their knowledge of the Precession of the Equinoxes. The Ancient Egyptians had full knowledge and understanding of the Precession of the Equinoxes. This is evidenced by the Ancient Egyptian artefact: the Narmer Plate. photograph and in the diagrams. 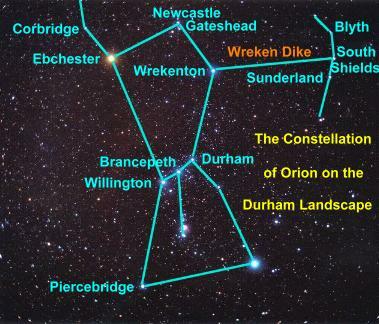 Precession can be seen on a clear night as the constellations apparently move across the sky. (the number of degrees in a circle/cycle) it takes 360 x 72 = 25,920 years. 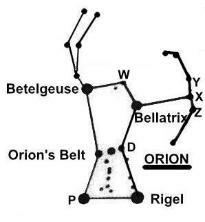 thousand years ago the Pole Star was Alpha Draconis. contained the Twelve Ages of the Zodiac, and by association, the Precession of the Equinoxes. We currently live in the Age of Pisces, the Fish, which explains the unusual amount of "fish"
example in the religious practices of Minoan Crete. We will soon be moving into the next Age of the Zodiac. of the Constellation of Aquarius. Perhaps not surprisingly, the key player in the Age of Aquarius is a Fish! Gavel or Skara Brae Taurus Stone for it. symbols of the Precession of the Equinoxes. 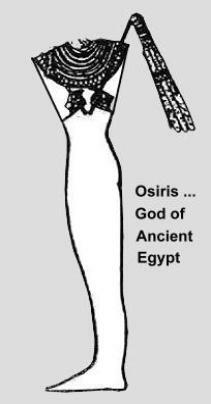 Sacred Knowledge of the Ancient Egyptians, which was known only to the Priests. Theorem ... possibly that which was later named after Pythagoras or Euclid. 3:4:5 contains a right angle" ... Euclid. "square" represents one of the four Seasons in the Ages of the Zodiac. 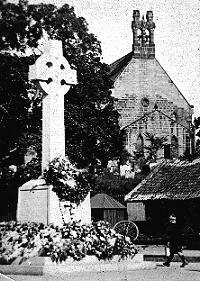 with both the Cross (as shown above) and the Triangle. have been made of a combination of papyrus and rope/twine. astronomers. Consequently this apparently illogical explanation is an odds on certainty. click on the Sky Globe. longitude of the sky globe. Ancient Egyptian Sacred Knowledge, heritage and culture to fit the harsh surroundings. 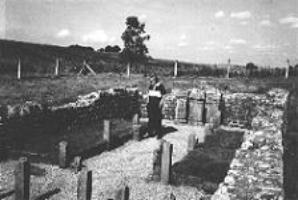 Howe Tomb is reminiscent of the Skara Brae houses. Egyptian hieroglyphs in Room Seven. the fact that they were built entirely of stone. meaning of the Tree of Life and the Lotus. these motifs was known only to the Priests. 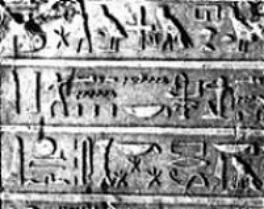 Ancient Egyptian hieroglyphs were carved. same sarcophagus bed upon which the Ancient Egyptian hieroglyphs had been carved. called an Ashlar. This is the modern equivalent of the Latin word "axilla" which translates as "Axis". Like the flat column in House Seven, the Ashlar was also a symbol of the World Pillar. this room pictured at Skara Brae! 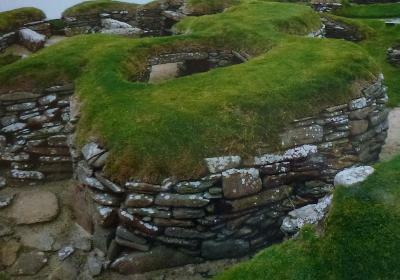 Except for the World Pillar, the layout of the interior of the houses at Skara Brae is virtually identical. the Sacred Gateway, Portal or Opening. herald in the Dawn of a New Age of the Zodiac. The Tau is represented by the letter "T". When Sacred Taus are joined together horizontally they represent a temple. In Ancient Egypt huge columns were erected in just this fashion. Henges in Britain are Sacred Taus joined together, very often in a circular design, to form a temple. A Double Tau forms a Dolmen. formed in the space above the temple. how Taus are joined to form a temple. A Dolmen is formed by a Double Tau. represent the Temple of Jerusalem. the next Age of the Zodiac in the Precession of the Equinoxes. Taus in remote Ancient Egypt. been located in a separate village, possibly on the eastern side of the island. we might refer to them as "chapels". Priests or Candidates had to stoop in a bowed position ... signifying humility. the candidate was prepared for his initiations into the Sacred Mysteries. would have sat on the opposite bench. into successively higher degrees of Sacred Knowledge. there any carvings on the undersides of these objects? would have been kept on the Altar, close at hand for use in the ritual ceremonies. 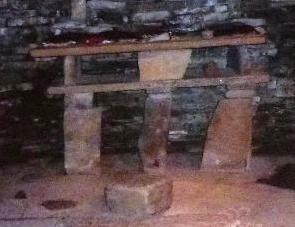 The Altar and the Ashlar Stone at Skara Brae. the picture on the right. within the doorway, not pictured, is the Ante-Chapel. Dawn of the Age of Taurus. the Hearth and Ordeal Pit are in the Ante-Chapel. 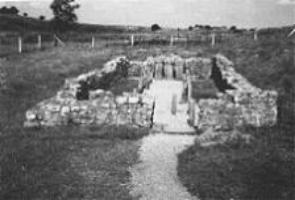 Not only was Skara Brae settled by the Ancient Egyptians, so too was the Knap of Howar. island of Papa Westray to the north of the Orkneys. 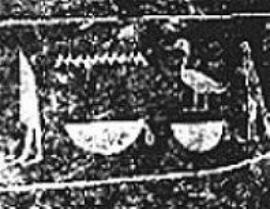 used to represent the hieroglyph letter "K" and the sound "cu" as in "cup". by the inhabitants of Knap of Howar. The design is Ancient Egyptian. represent the letter "K" and the sound "cu" as in "cup". "Homage to Ra of the Horizon"
"Homage to the Rising Sun"
This is a particularly interesting example to dislpay the letter "K" in Ancient Egyptian Hieroglyphs. Orkneys were built in the form of Hrak, the Rising Sun. Skara Brae and those at Knap of Howar were built at a later date. square. This suggests that the settlement at Skara Brae was founded first. The corbelled walls of the Temple-Houses are yet another reflection of Ancient Egyptian architecture. In Ancient Egypt the people lived on the East Bank of the Nile and buried their dead on the West Bank. For this reason I believe that the farming community lived on the eastern side of Orkney Mainland. Alternatively, there is the possibility that they lived on a separate island altogether. There remains no room for doubt that the Ancient Egyptians settled in the Orkneys. location. They brought with them wheat, barley, sheep and long-horned cattle ... their staple diet. was that of navigating by the stars. we now refer to as Great Britain, the "Land of the Westerners". sciences they brought with them. For them, Mainland Orkney was the Land of the Westerners, the Land of the Dead. than 3100BC. In fact closer to one thousand years earlier ... at least 4000BC. imposed upon the Durham landscape. a discovery made by myself, Audrey Fletcher. roads were in fact laid down by an earlier culture. only one possible culture ... the remote Ancient Egyptians. 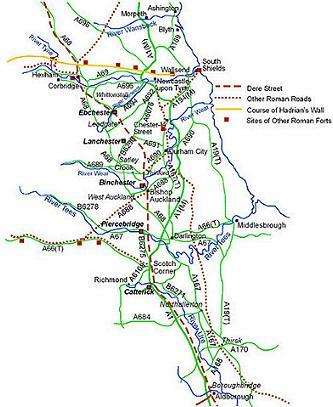 Please visit my web page "The Wreken Dike"
the Ancient Egyptians in Britain.